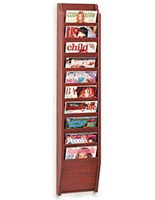 Each of these information racks with (4) pockets organize literature in a vertical presentation on a wall, saving floor and counter space. Store catalogs, medical records, and all manner of commercial paperwork in this convenient dispenser! 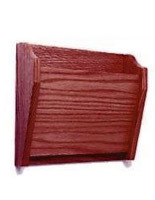 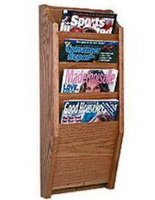 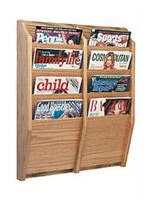 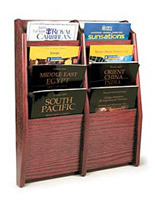 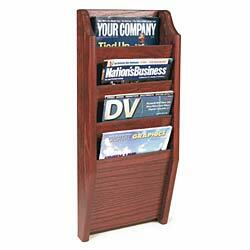 These information racks with (4) pockets, such as magazine stand systems, are versatile ways to supply pamphlets or promotional materials in a retail shop or library environment. 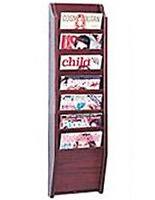 Due to the clever design of each slot, the contents titles are visible to the public. 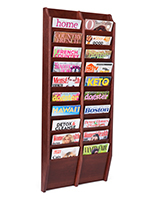 These information racks with (4) pockets that are upscale chart holders are the perfect way to display periodicals in an office.